Accounts to 31st October 2011. SWIRLs response to Minister O'Dowd's Press Release of 27th March 2012. Click here to read full response. High Sea Lice Readings “On foot of very high sea lice readings at many salmon farm sites in late 2011, Salmon Watch Ireland wrote to the Minister for Agriculture, Food and Marine". Click her to read SWIRL's letter to Simon Coveney TD, 4th February 2010. Click here to read Simon Coveney TD's response of 6th March 2012. Remarks by Niall Greene, Chair of Salmon Watch Ireland to the Annual General Meeting of the company held at the Silver Springs Hotel, Cork on Saturday, 21 May 2011. SWIRL's Annual Conference will be held on Saturday 21st May 2011 at Silver Springs Moran Hotel, Tivoli, Cork. The Nore Suir River Trust Strategy Plan: 'Why do the Nore and Suir Need a River Trust' - download here. 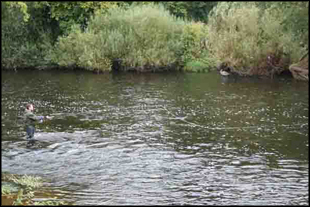 The Barrier Report: 'Assessment of Fish Passage and the Ecological Impact of Migration Barriers on the River Nore Catchment', Alan Sullivan BSc MIFM.